A victory — or not victory — in Standing Rock, North Dakota. near Cannon Ball, North Dakota, December 4, 2016. 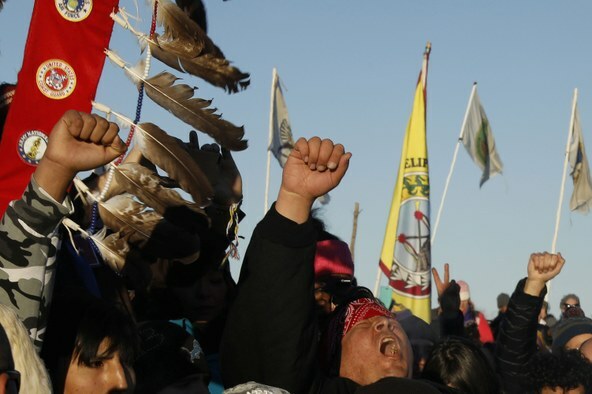 Yesterday the voices of the Cheyenne River Sioux tribe and other protesters at Standing Rock were raised in victory after the Army Corps of Engineers announced it would not permit completion of the Dakota Access pipeline. But last night, Energy Transfer Partners said it would resume construction anyway. Will the Syria endgame include ISIS?